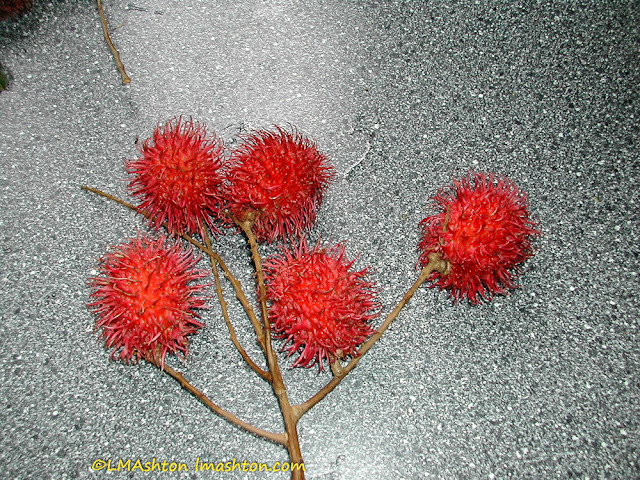 Rambutan! 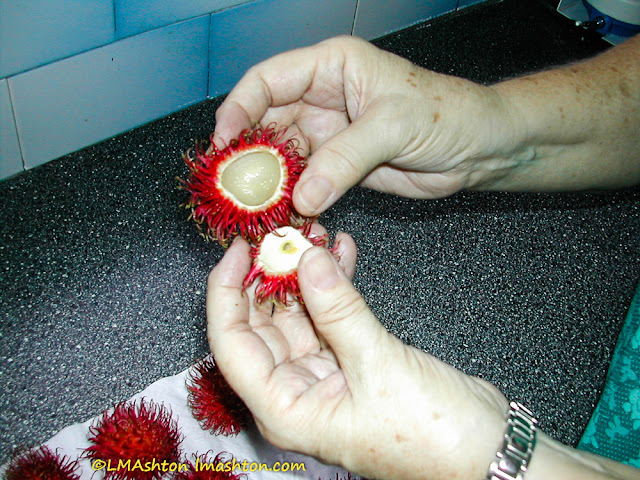 Weird little spiky fruit with the insides, the part you eat, resembling lychee a fair bit. When it's in season, it's stacked in huge piles at the side of the road, either on the ground or on makeshift tables. It never falls over because of the spikes. They're like velcro. That is one interesting looking fruit you have there. 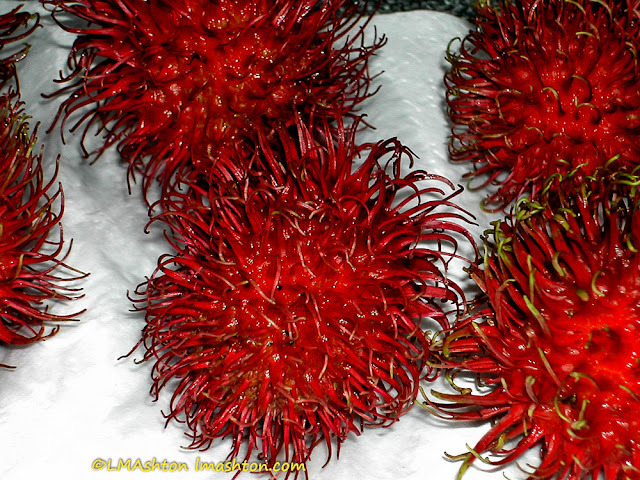 It reminds me of pods from my neighbor’s maple trees, just red.